Product prices and availability are accurate as of 2019-04-07 23:58:06 EDT and are subject to change. Any price and availability information displayed on http://www.amazon.com/ at the time of purchase will apply to the purchase of this product. 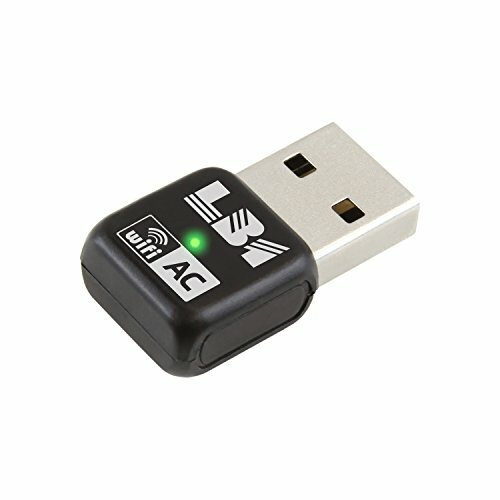 Mini 600Mbps Dual Band 2.4G/5G USB Wireless LAN Adapter is the perfect way to affordably add Ultra-Modern Wireless internet to your computer or laptop. 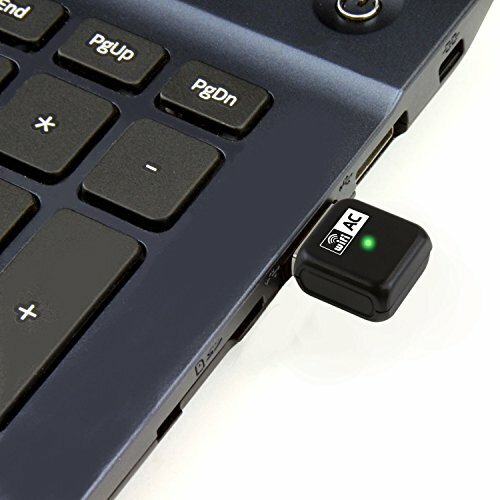 Just run the included installation CD on your laptop or desktop computer and insert the adapter into your USB 2.0 port. 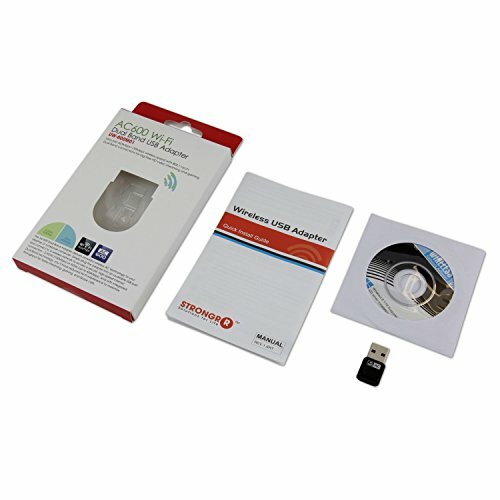 Ultra compact, the Mini 600Mbps Dual Band 2.4G/5G USB Wireless LAN Adapter is unobtrusive. The adapter has a dual band design, which helps to cut down on the risk of lags when you're gaming or watching videos. Boasts a rating of 433+150 megabits per second. Easily supports lag free video conferencing, gaming, and any other activity requiring high transfer speeds. GET WiFi ACCESS WITHOUT THE EXPENSE Adapter makes it possible to get online without having to change your hardware SO EASY TO INSTALL Setup CD included is easy to run; Once everything is installed, you can get online just by slipping in the adapter MINI SIZE SOLUTION Doesn't stick out far from your laptop or desktop's USB port, so you can leave it in place SURF THE WEB AT TOP SPEEDS Transfers data at an incredibly fast AC600 (433+150Mbps) wireless speed SATISFACTION GUARANTEED If you're not 100% pleased with your purchase within 60 days, we'll refund your money!